This project consisted of the construction of 2nr. 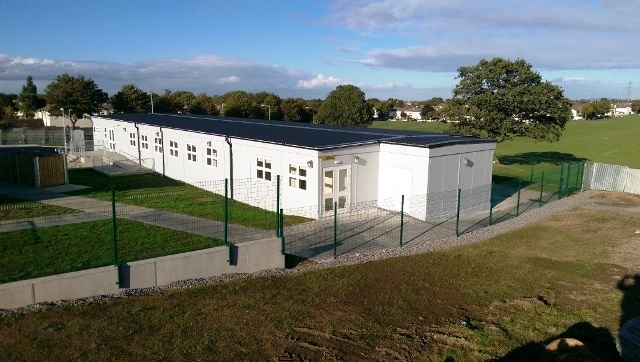 4 classroom temporary primary schools for the Department of Education and Skills on a green field site in Firhouse Co. Dublin. 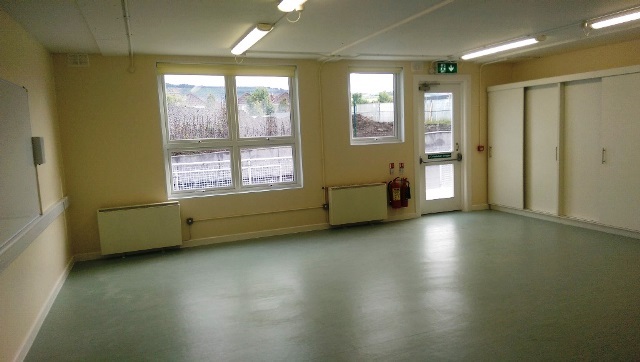 The works comprised of site development and the construction, installation, fit out and commissioning of 2 single storey blocks each containing 4 classrooms, staff offices, resource room, reception, canteen, lobby, corridor and plant room. 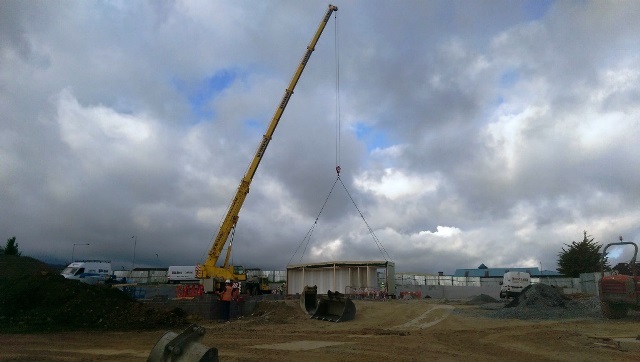 We undertook Role of PSCS & Main Contractor for the Works. 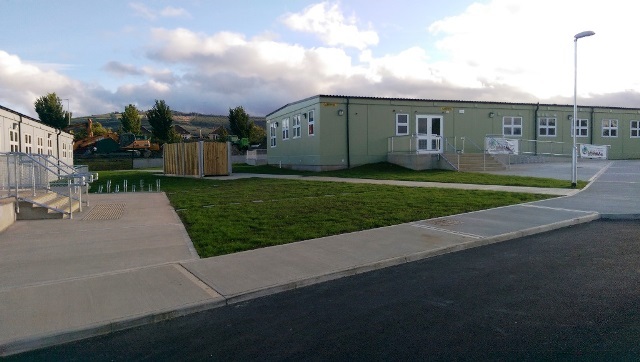 The project was accelerated on to a rapid build programme as the client required the schools to be operational by September to take in 120 pupils. 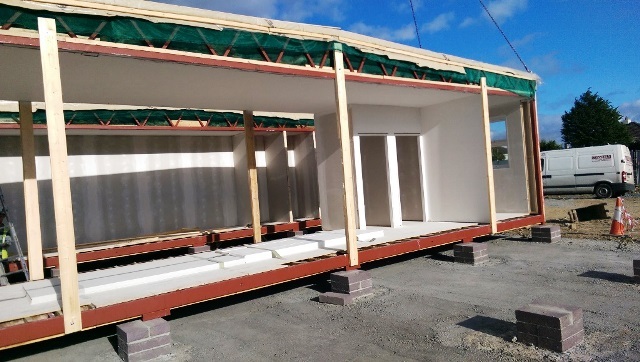 We commenced works onsite in late May and successfully completed the works in under 16 weeks. 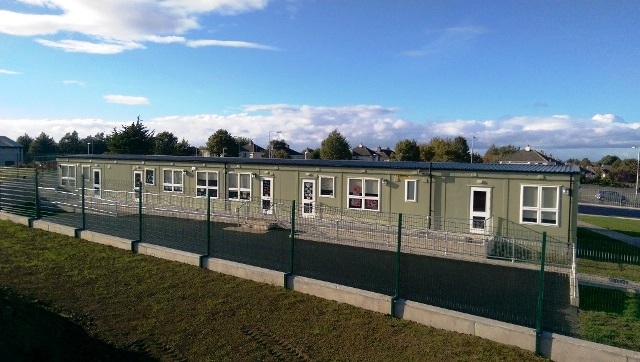 The Temporary School Buildings were constructed using a modular design which enabled the steel frame structure, external and internal walls, roof and floor to be constructed offsite and thus fast tracking the construction process as they were being fabricated simultaneously with the foundations and groundworks ongoing in site. 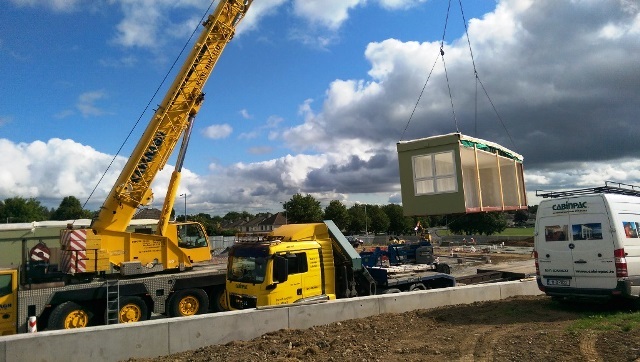 The 12m x 3m building units were delivered to site and installed with a 80Tn mobile Crane. 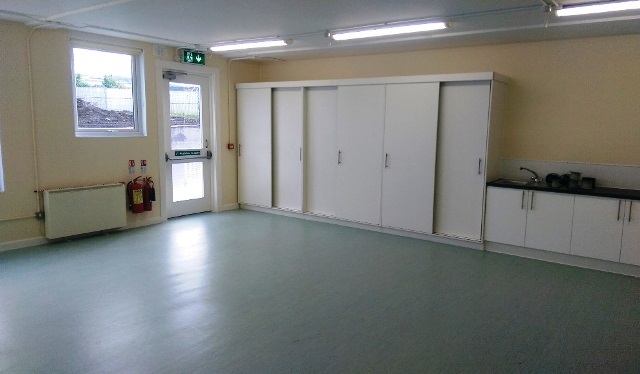 These units were bolted together and internally finished onsite with a full mechanical & Electrical fit out including a PA address system, automated door entry, fire alarm, CCTV, class call system, intercom access, as well as internal doors, ironmongery & joinery, internal painting, polyflor welded vinly floor finish, suspended ceiling, fixtures and fittings.